The XSLT Mediator of WSO2 ESB applies a specified XSLT transformation to a selected element of the current message payload. 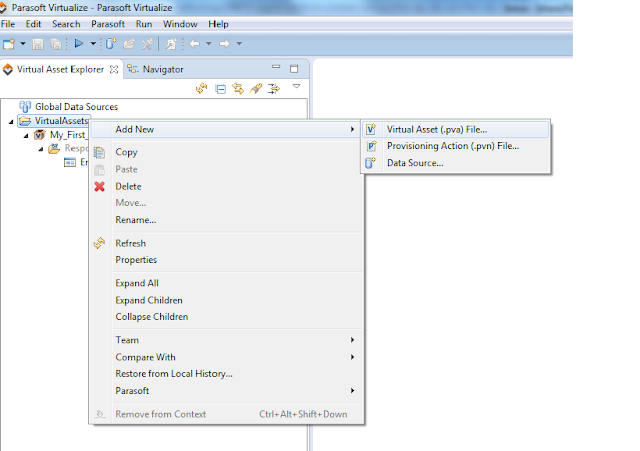 In this post i am going to write a simple XSLT style sheet which will read values from the current XML payload inside ESB using XPath and populate them into style sheet to create a new or different payload. Below is our original XML payload. We will be passing this payload into XSLT mediator with specifying a certain drink name as a parameter to the style sheet. For e.g i am passing drink name as 'Coffee'. 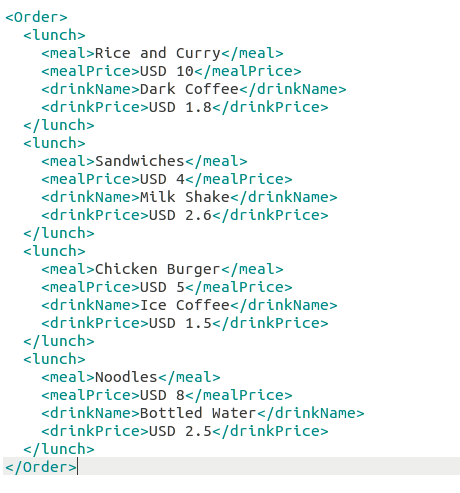 At the style sheet it will traverse through incoming payload and find the <lunch> elements which contains 'Coffee' as drink name. If matches found we add the prices of those elements under a new <Payment> element. So when we come out of XSLT mediator the payload will be now changed to the <Payment> entry where it contains drinkPrices of matching elements. The style sheet 'discountPayment.xsl' is like this. Add this style sheet into local-entries of ESB and it can be referred from XSLT mediator as this. After coming out from XSLT mediator now our current message payload is changed to below.